You know avocados are rich in nutrients. But is protein one of them? Avocados are actually one of the few fruit items that get acknowledged as having significant levels of protein. But how true is this? Do avocados have protein? The short and simple answer would be a resounding yes, avocados do have protein content. Truth be told however, avocados are not a significant source of proteins just like all the other fruits in the market today. A single serving of avocado can amount to less than a gram of protein and once puree, avocados can offer even less in terms of protein content. As such, it is more important to combine avocados with other foods items during meal times to attain and diversify the full health benefits of avocados. More importantly than tackling if avocados have just protein, it may be more appropriate to ask what is the nutritional value of avocados including its protein content. Studies have shown that a single serving of avocado (around 40 grams) actually contains a number of beneficial nutrients. These include 64 calories, six (6) grams of fat, 3.4 grams of carbohydrates, a little sugar, three (3) grams of fiber and less than a gram of protein. Avocados also contain important vitamins such as vitamins C, E, K, and B-6 which help the body in certain metabolic functions. Aside from these vitamins, avocados also have riboflavin, niacin, folate, pantothenic acid, magnesium, and potassium in addition to lutein, beta-carotene, and omega 3 fatty acids. The sixty-four (64) calories mentioned earlier for avocados but this should not be a cause for concern as the aforementioned calories are from healthy kinds of fat which can help in regulating weight and giving the feeling of being full. These healthy fats can aid in skin health, absorption of vitamins and minerals and can purportedly enhance the immune system. The highly nutritious nature of avocado as stated in the previous entry may be one of the main reasons avocados are good for the heart as well. Our heart muscles are one of the most vital tissues in our bodies as they need to function well and efficiently. An efficient and healthy heart will also translate to better health and quality of life for people. Aside from these vitamins and minerals, avocados contain twenty-five (25) milligrams per ounce of beta-sitosterol, a natural plant sterol. This plant sterol can actually help maintain cholesterol levels at a healthy and acceptable level. Avocados contain both lutein and zeaxanthin and these two phytochemicals provide antioxidant properties that can help prevent and delay the onset of eye damage especially those caused by ultraviolet light. In addition, avocados have nutrient absorbing properties and beta- carotene which when properly processed by the body may help in fighting off the degeneration of eye muscles and tissues. A vital component of avocado would be vitamin K and while this vitamin usually gets the backseat in terms of being recognized in the fight against osteoporosis, vitamin K can actually help in the calcium absorption properties of the body. Aside from the absorption of calcium, vitamin k can also help reduce the urinary excretion for calcium. Evidence suggests that avocados can help prevent cancers of the colon, stomach, pancreas, and cervix. While further studies are required to establish the reason behind this cancer preventive property of Avocados, scientists believe that the folate present in avocados may be responsible for the prevention of unwanted and undesirable cell mutations. In addition, the phytochemicals of avocados may also be used to fight the growth of precancerous and cancerous cells. As mentioned earlier in this article, avocado is a great source of folate and folate is highly important for pregnancy and for mothers to be. Sufficient folate intake can reduce the risk of miscarrying and prevent other possible birth defects. In short, enough folate during pregnancy will lessen the possibility of losing the baby and lessen the chances of the infant to have any birth defects. Folate once again plays an important role in fighting depression as folate can fight the buildup of homocysteine, a substance that can limit the flow and delivery of nutrition to the brain. Excess homocysteine has been linked with the impairment of the production of various other necessary hormones that regulate mood and sleep such as serotonin, dopamine, and norepinephrine. With its high fiber content, avocados can help the body improve its digestion. Fiber can also help in preventing constipation, preventing the development of colon cancer and maintaining a healthy digestive tract and system. Sufficient fiber intake helps in the process detoxification through the daily excretion of bodily waste such as bile and stool. 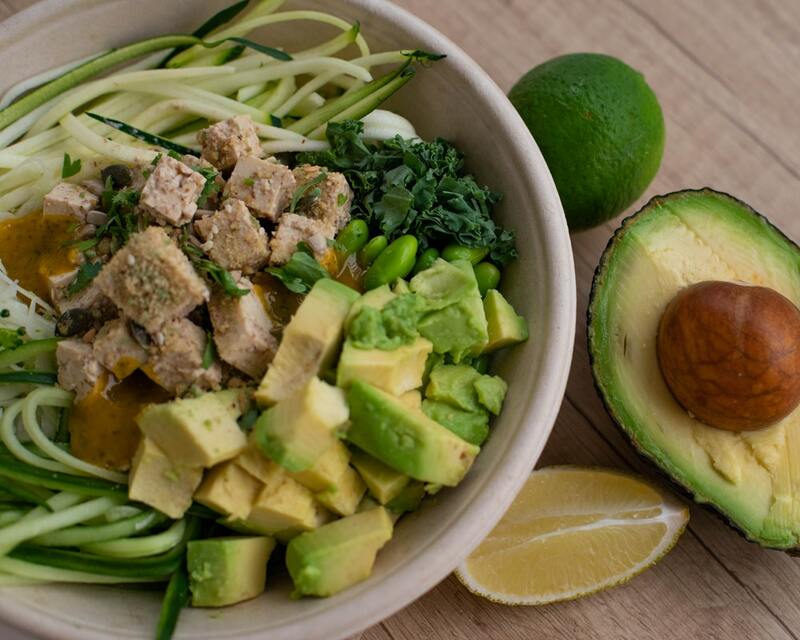 The fiber in avocado may also help in enhancing the performance of the body’s immune system and anti-inflammation response. The high fiber content in avocados when consumed have been linked with the significant decrease in developing heart diseases, stroke, high blood pressure, diabetes, weight-related problems, high blood pressure, and cholesterol levels. With all these benefits, the protein content of avocados may seem like a side note. However, it must be noted that all these health advantages of consuming avocados should be considered and looked at as a combination of all the good nutritional elements of this fruit. Avocado is indeed a great food item that can aid in improving the overall health, wellness, and quality of life of patients, not just in terms of protein content but also in connection with the other required vitamins, minerals, and essential nutrients. Best Amino Acids for the Ketogenic DietWhat Does Leucine Do for Our Body?